Fun family game enjoyed with anyone. Each player takes a turn to spin the spinner and then knocks down one block as per the colour shown on the spinner. 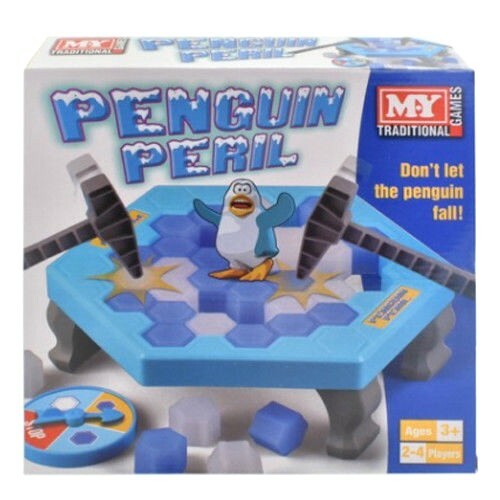 The one who makes the penguin fall of the block loses the game.